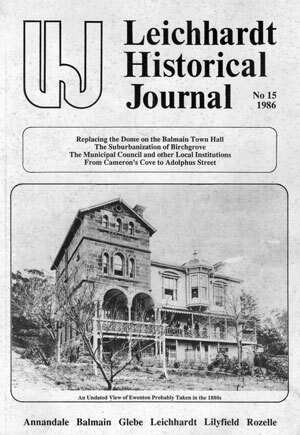 There are 23 volumes of the Leichhardt Historical Journal. For more information contact the Association. Contents cover Leichhardt, Annandale, Lilyfield, Glebe, Balmain, Birchgrove and Rozelle.